This is good news. A new album from The Fucked Up Beat will be available tomorrow, March 20th. 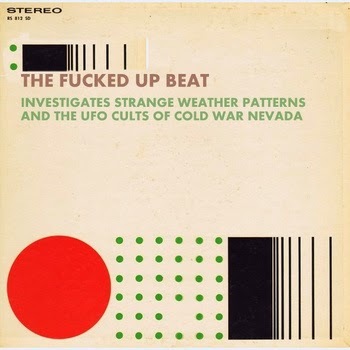 It's called "Investigates Strange Weather Patterns and the UFO Cults of Cold War Nevada." And it's every bit as strange and interesting as that name suggests. I've listened to it many times since Monday. I think it's fantastic! More details in the days ahead. Till then, why not visit The Fucked Up Beat -- click here .